"Our goal is to be the one that raises the bar, that resets the standards, that goes that extra mile & puts in a little more effort to make a lasting impression. To be the most honest, reliable, & diligently thorough service in the industry & the leading provider in our area. We strive for 100% customer satisfaction & nothing less." 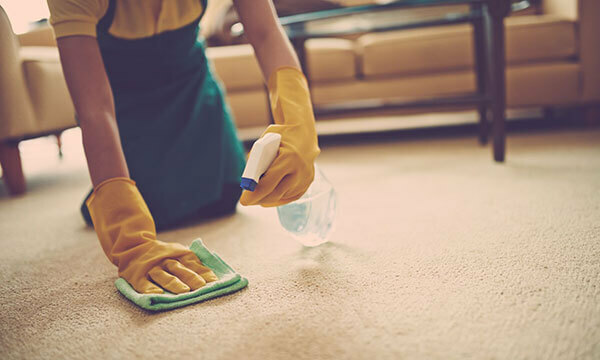 OCD Home Carpet & Tile Cleaning® is a professional residential and commercial carpet cleaning company serving all of Orange County, including Orange, Yorba Linda, Tustin, Placentia, Anaheim Hills, Irvine, and surrounding areas. 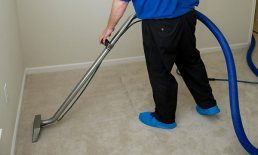 We are family owned and operated, licensed and insured business with highly trained, uniformed, IICRC certified experts utilizing industry-leading technology and advanced cleaning techniques to effectively clean carpets, area rugs, upholstery, and tile and grout. Our promise to our customers is straightforward. We'll do the job right, provide upfront, honest pricing, and make your entire experience with us hassle-free from booking to billing. We mean it when we say "We Stand By Our Word" because integrity is the backbone of our company. Every job is backed by our “Every Inch Guarantee": "If you aren't satisfied with the service, we'll make it right!" Whether that consists of re-cleaning requested areas or re-doing the entire job, repairing or replacing any damage that occurred, or refunding the bill completely. We are the winner of the 2017 Angie's List Super Service Award, and have earned a place on Best of Yelp 2017. In addition, we are a Google Guaranteed Partner, which required passing stringent background, license, and insurance checks. Any customer that is not 100% satisfied with our services can submit a claim to Google for up to $2,000. 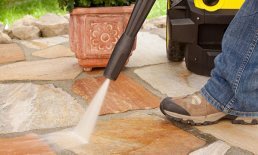 I started this company with one, heart-driven, sole intent and that is to provide you and all of our wonderful clients the most trusted, reliable, and thorough cleaning source in all of Orange County. To be a true household name amongst family and friends as a reputable service, one that can be passed around freely with full, unwavering support. I, as an owner, and we as a company strive to go above and beyond in every which way to make our customers feel like family and show we appreciate them just as they appreciate us and all our hard work. I'm very proud of our team and their commitment to demonstrate unparalleled customer service on a daily basis and provide our customers with 100% satisfaction, something I personally guarantee. With so many vendors nowadays, it's become excruciating for any customer to navigate through google searches or review sites to find a service that will perform professionally and get the job done right but give us a shot and I promise we'll do just that. We look forward to hearing from you soon.